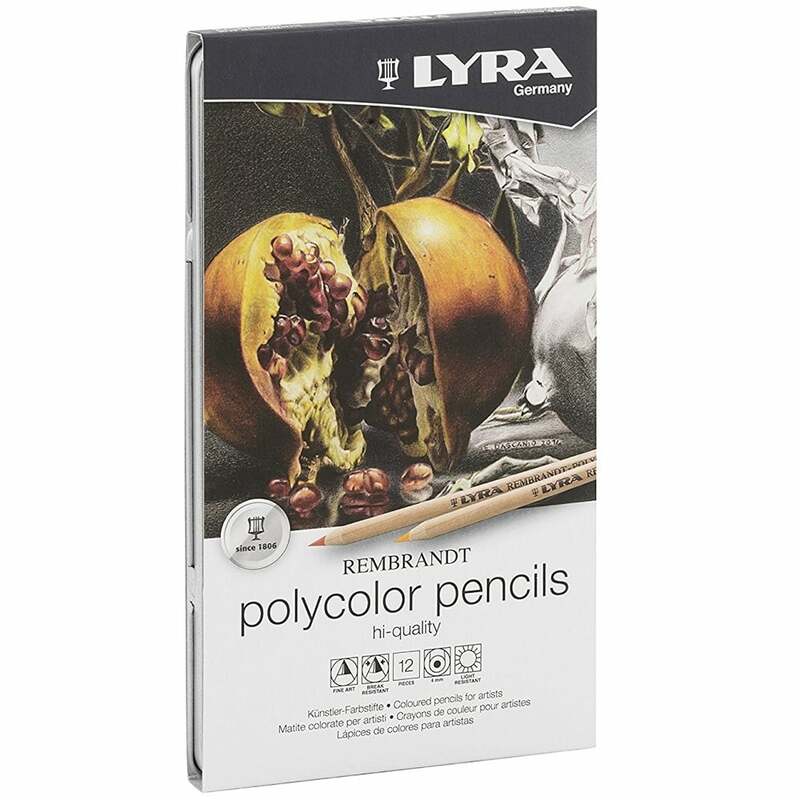 Rembrandt Polycolor, are top quality pencils for artists, graphic artists, designers, and architects. The selection of 12 colours offers brilliance, light- and water-resistance, and the particular smoothness of the leads, meet the highest demands. These artists' pencils enable the user to achieve fine, exact contours, as well as brilliantly coloured areas and delicate merges.